Brazil’s 4,600-mile-long Atlantic coastline is home to some of the most beautiful and undiscovered beached in the Americas. 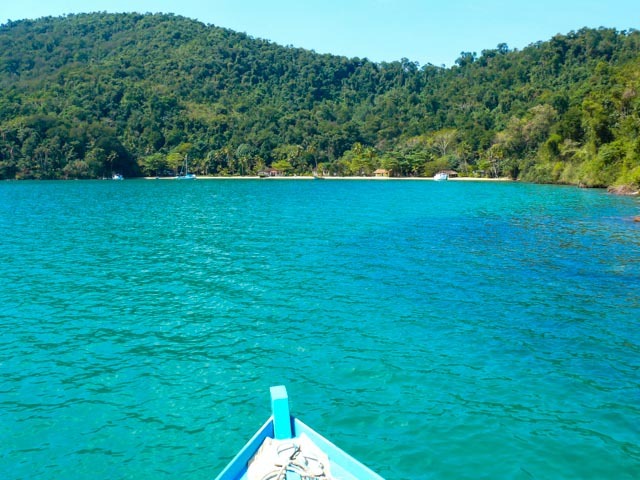 There are countless bays, beaches and coves with crystal-clear, turquoise water to choose from. 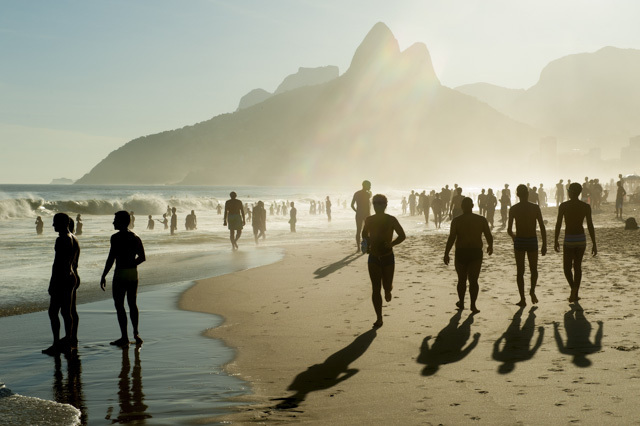 Cities, towns and small rural villages along the coast all offer a glimpse into the lives of the Brazilians who live here, and all have their own unique charms, from exciting Rio to charming, historical Paraty, African influences Salvador to the natural beauty of the archipelago of Fernando de Noronha. 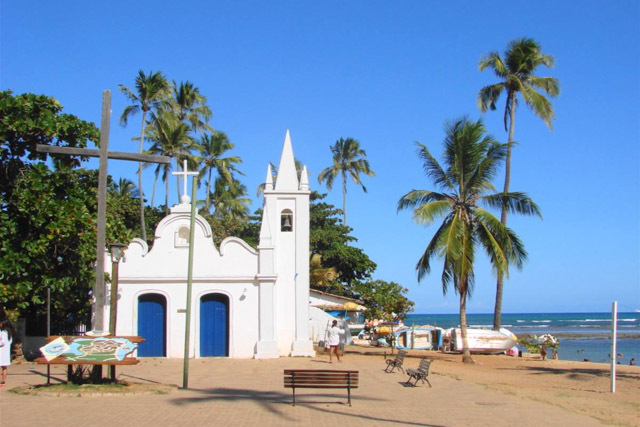 A visit to coastal Brazil is an unforgettable experience and this tour is one of our most popular. This morning you will be met by your guide and escorted on a private tour of the city. 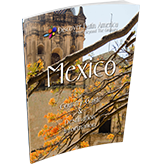 Beginning in the downtown area you will first visit the city’s contemporary Metropolitan Cathedral, with it’s huge stained glass windows and nearby Aterro de Flamenco, a peaceful park offering views over the city. Next you will visit the historic Urca neighborhood on the way to the iconic Sugar Loaf mountain, where you will ascend to the top by cable car to enjoy spectacular panoramic views over the city. 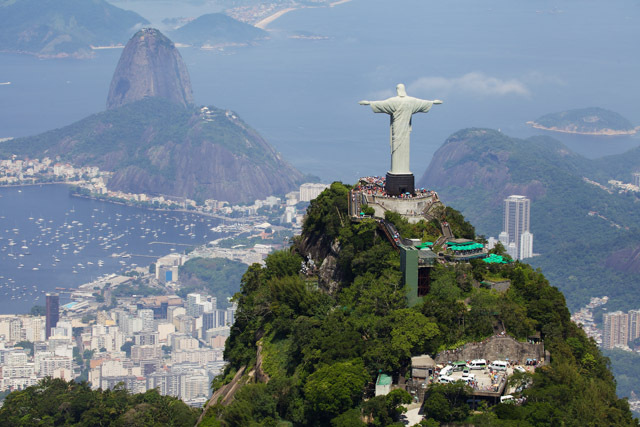 Following a lunch break, your tour will continue to Corcovado Mountain, home of the world-famous Cristo Redentor (Christ the Redeemer) statue and an even more incredible view of Rio. 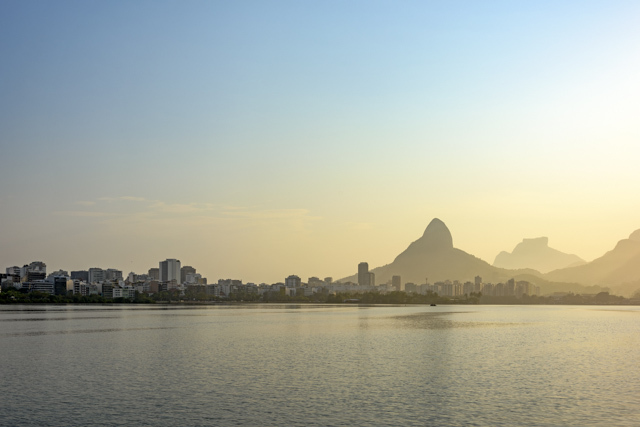 This morning you will be met at your hotel by your guide and escorted to the port to board a schooner for an unforgettable half day boat tour around Rio’s coastline. 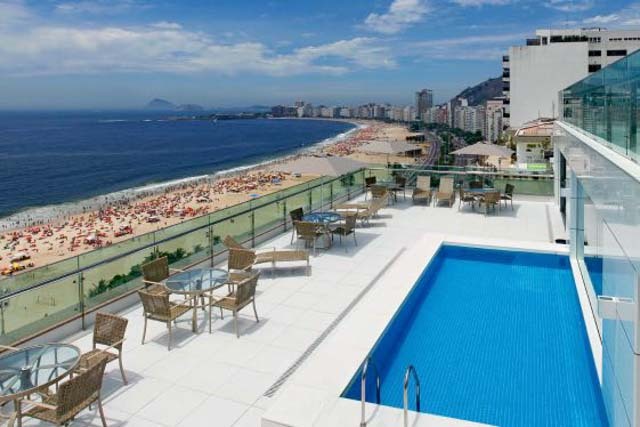 You will have fabulous views of Rio, one of the world’s most beautiful cities from your vantage point on deck. Passing the ruins of Forte São Teodósio and Forte SãoJoão, overlooking the entrance to Rio’s bay you will learn about the Portuguese settlers who were the first to set up a trading post here. 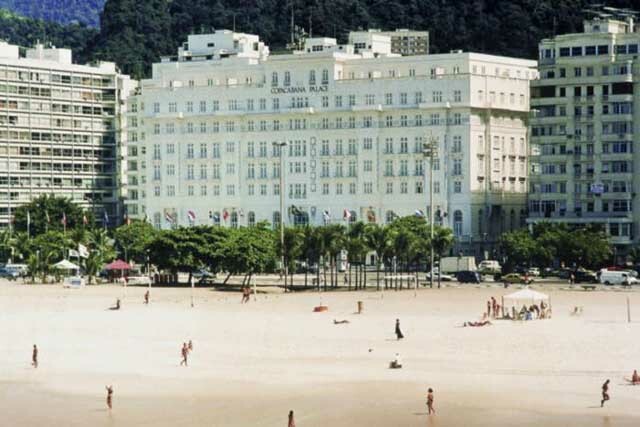 Returning to your hotel on Copacabana Beach you will have the rest of the day to enjoy at your leisure. 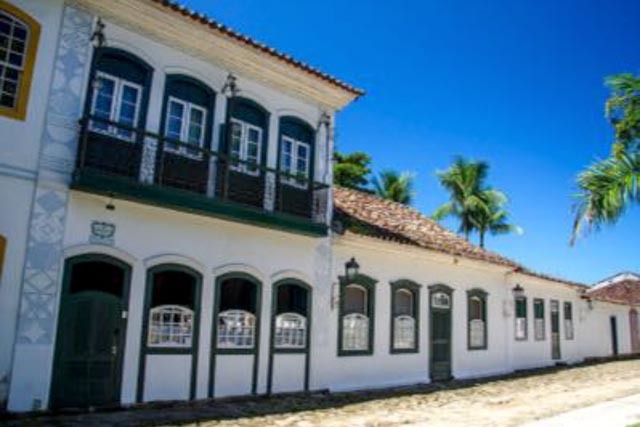 This morning upon checking out of your hotel you will be driven by private vehicle to the town of Paraty. The drive along the coast is a scenic one and you will have the opportunity to stop along the way for some fresh coconut or sugar cane juice sold by vendors along the side of the road. 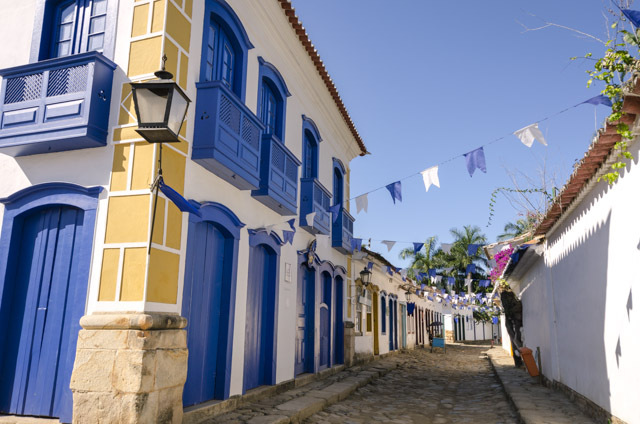 Paraty is a small, historic town set in a spectacular natural setting of secluded, tropical beaches, backed by lush rainforest covered, steep mountains. 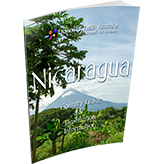 The historic center of town is a beautifully restored colonial living history museum and the architecture of the town makes it a true work of art. After checking in to your hotel you will have the rest of the day to explore the town at your leisure, perhaps sampling some of the excellent seafood in a local restaurant. This morning you will be picked up at your hotel for an unforgettable tour by schooner around the archipelago of islands that lie offshore. This area is known for its spectacular natural beauty of deep green, dense rain-forested slopes, warm, tropical waters and stunning deserted beaches. This really is a true paradise and you’ll end up taking hundreds of photos as everywhere you look is another picture-postcard perfect scene. During the tour you’ll take 3 one hour stops for snorkeling and swimming in the sublime, warm waters, or simply sunbathing on a deserted beach if you prefer. This morning you will reverse the scenic route from Rio de Janeiro that you took two days ago, driving to Rio’s airport for your flight to Salvador. Known as the African Soul of Brazil, the Salvador is unique in that its African descendants have preserved their cultural roots more than anywhere else in the Americas. 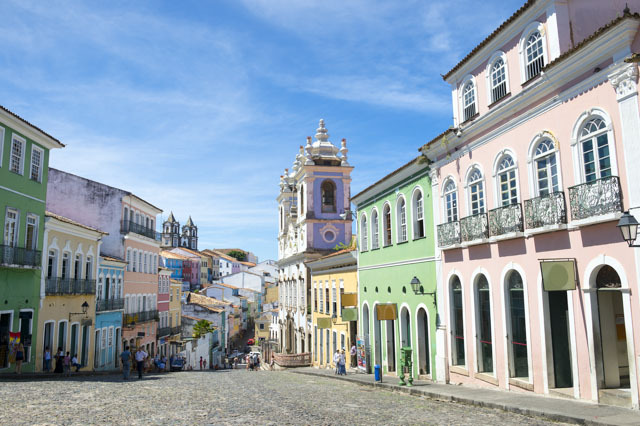 Salvador is famous for combining Afro-Brazilian religious, culinary, musical, dance and martial art traditions. 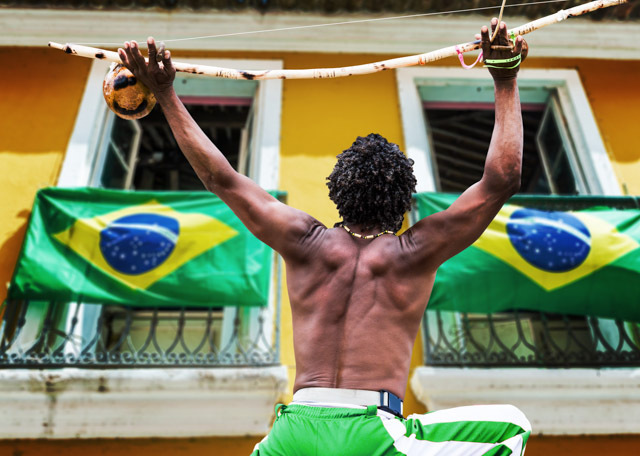 Walking around the vibrant historic center, it’s not uncommon to come across capoeira performers, drum corps pounding out samba beats, be able to munch on acarajé bean dumplings - the same as the ones sold on the streets of Nigeria, or even witness a Candomblé religious ceremony. After checking in to your centrally located hotel you will have the rest of the afternoon to explore at your leisure. 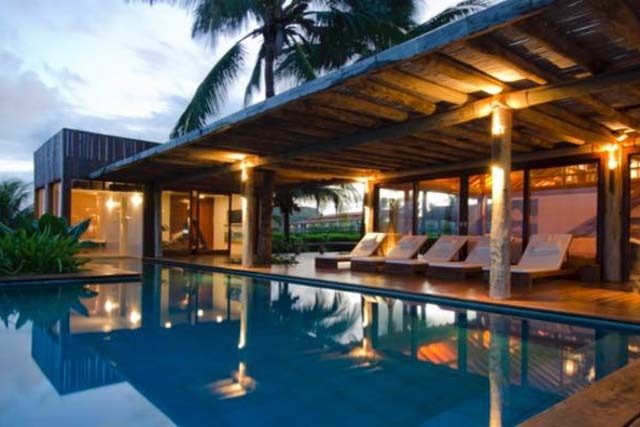 Praia do Forte, about 20 miles north of Salvador along the Atlantic coast is an upmarket, ecological beach resort area. It’s a beautiful and peaceful area that has a strong emphasis on preservation. This attractive village has retained it’s small town charm and is centered around the main road - a pedestrian walkway lined with good restaurants and boutique shopping. The walkway leads to a small church, a reserve set up to protect sea-turtles and beautiful palm lined beaches with white sand. This area is known as the ‘Brazilian Polynesia’, and you’ll quickly see why. Today is your day off - yo’ve certainly earned it! Spend it as you please, snorkeling on the nearby reef, kayaking, diving, or simply enjoying the delights of the town and its beautiful beach. This morning you will be met at your hotel by your guide and escorted to Salvador’s airport for your flight north to the city of Recife. 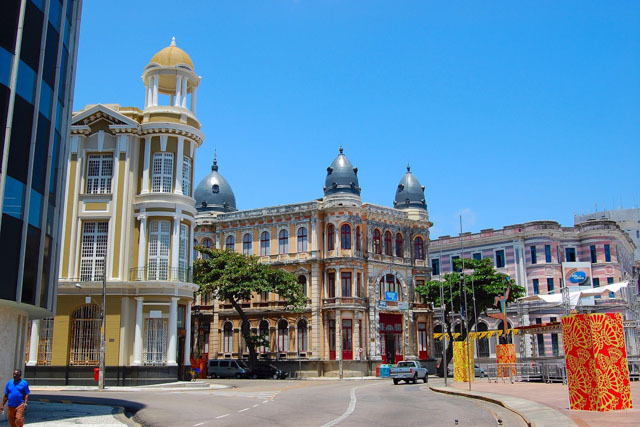 Upon arrival your driver will meet you for the short drive to Olinda, a beautiful and historic city center sitting on a hill overlooking the neighboring city of Recife and the Atlantic Ocean. 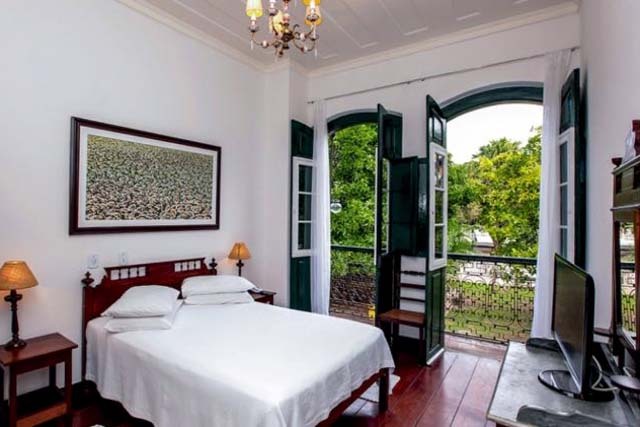 After breakfast in your hotel you will enjoy a your of Recife and Olinda. 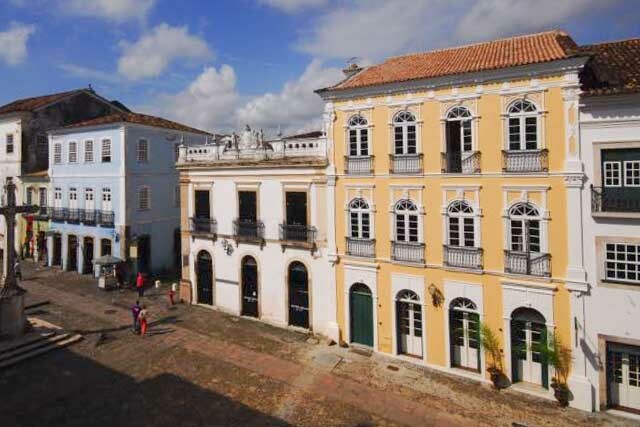 Starting at Rua do Bom Jesus in the historic center of Recife, you will see the architectural style of this old Dutch settlement with buildings that are similar in appearance to many in Amsterdam. 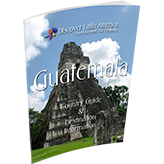 You will then visit the Jewish area of town, the site of the first synagogue in the Americas, before visiting the Law Courts, Governor’s Palace and Golden Chapel.. 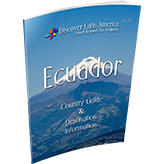 Your tour then proceeds to Olinda, a beautiful colonial town and a UNESCO World Heritage Site. Here you will visit the Monastery of São Bento dating from 1582, which is lavishly decorated with intricate woodcarvings and gold. Before driving to the airport you will have the opportunity to stroll the delightful, cobblestoned streets of the city. At the airport you will board your flight to Fernando de Noronha. This archipelago of 21 islands, with its crystal-clear water, tropical landscapes and right marine life is one of the most beautiful places in Brazil, if not the entire continent. 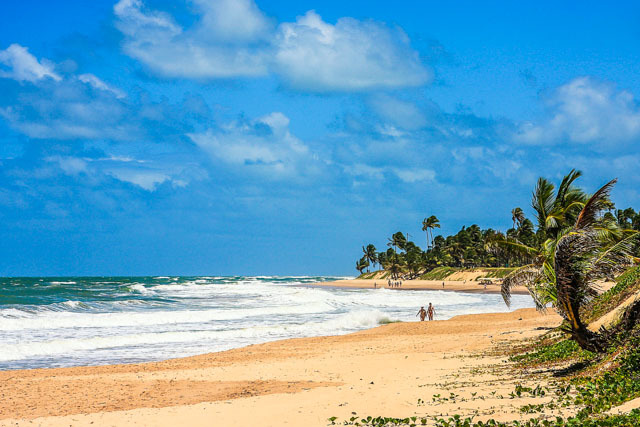 Three of the best beaches in the country - Baía dos Porcos, Praia do Leao and Baía do Sancho are here and are easily visited. Much of the main island is protested as a national park and a few days here is a guaranteed highlight of any visit to Brazil. All of the main island’s 26 beaches are clean, beautiful and practically deserted. With underwater visibilities in excess of 60 feet, this is a snorkeler and SCUBA diver’s paradise, home to at least 230 species of fish and 15 types of coral. There’s plenty to do here, at your leisure. 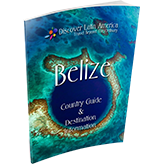 You can choose from boat tours to see spinner dolphins up close, kayaking, SCUBA diving, snorkeling, surfing, relaxing on the beautiful beaches or simply exploring the town and island at your own pace. 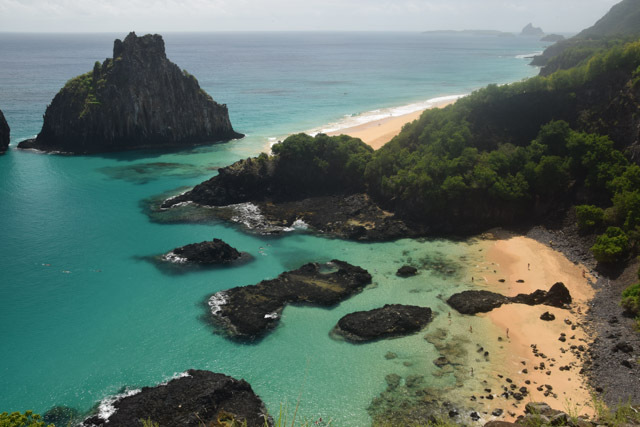 This morning you will be escorted to Fernando de Noronha’s airport for your flight to Recife, connecting to your international flight home. 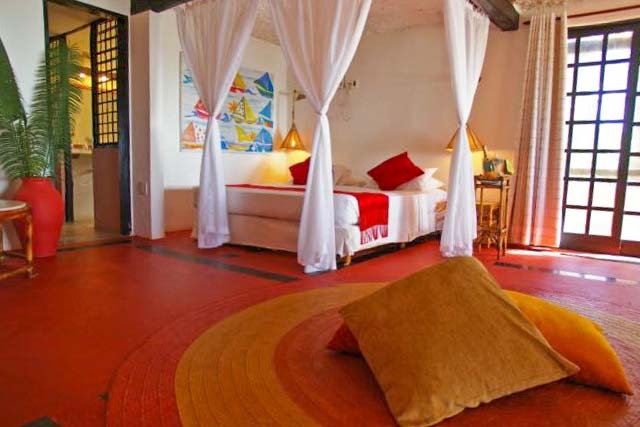 This delightful colonial hotel is located in Paraty’s historic center, just a 5-minute walk from the main square. The hotel offers stylishly modern, yet rustic style decor, and features several indoor and outdoor lounge areas around an inviting pool. 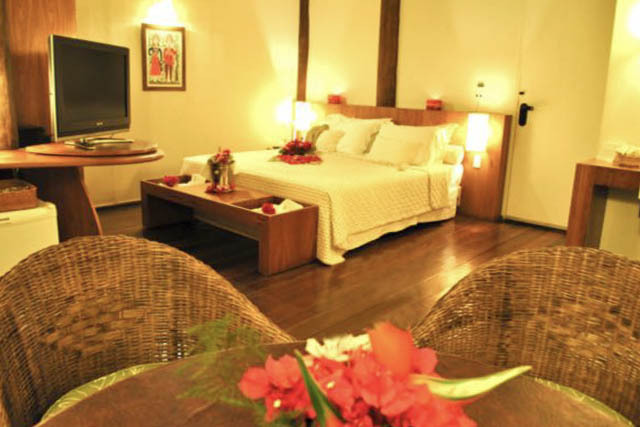 The air conditioned rooms are all individually furnished and face either the courtyard or the tropical gardens. 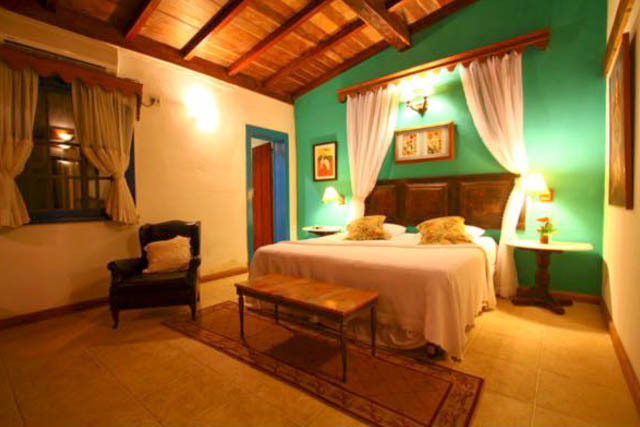 This beautiful posada is located in the historic center of Paraty. 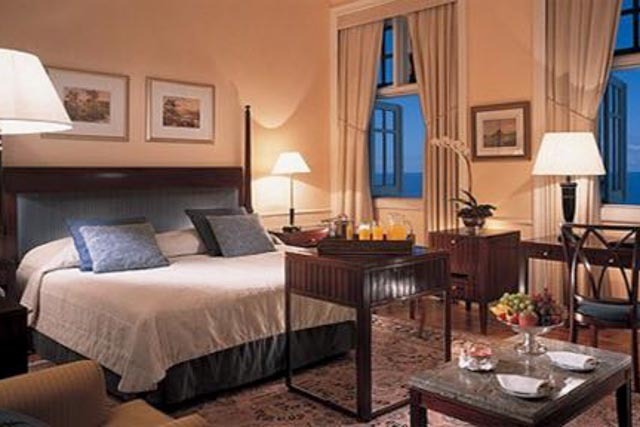 Occupying a spectacularly restored colonial house, the hotel is an oasis of luxury and flawless service. 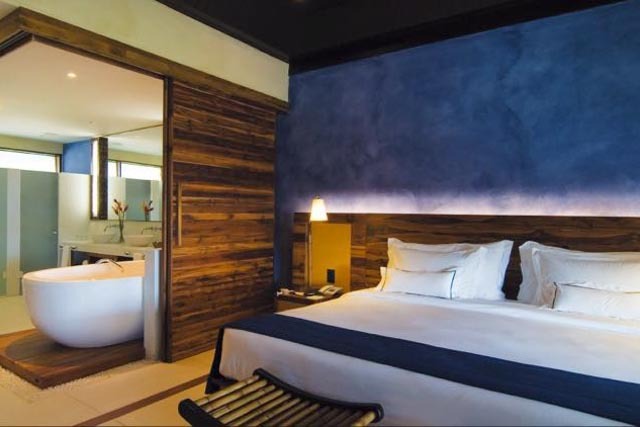 Each of the 23 rooms features individual style and decor and are equipped with a king size bed, air conditioning and all amenities that one would expect from a Conde Nast Johansens award winner in 2015 for best small hotel. The only hotel in Praia do Forte that is located directly on the beach, the Pousada Porto da Lua features 27 luxurious rooms surrounded by splendid tropical architecture. 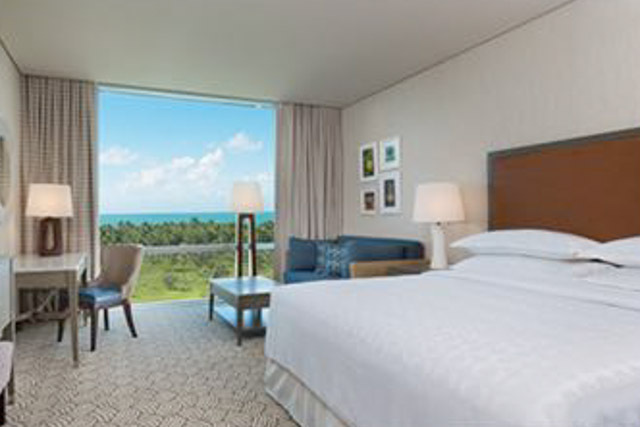 All rooms feature at least one large balcony with a hammock for relaxing, king size beds and beach views. Located mere minutes walk from the center of town, this is an excellent choice. 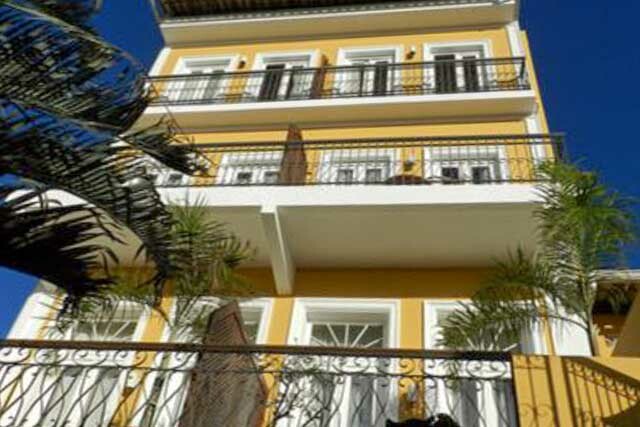 Probably the finest luxury hotel in Praia do Forte, this is an excellent choice for the traveler who is looking for stylish, modern accommodations combined with a high level of service. 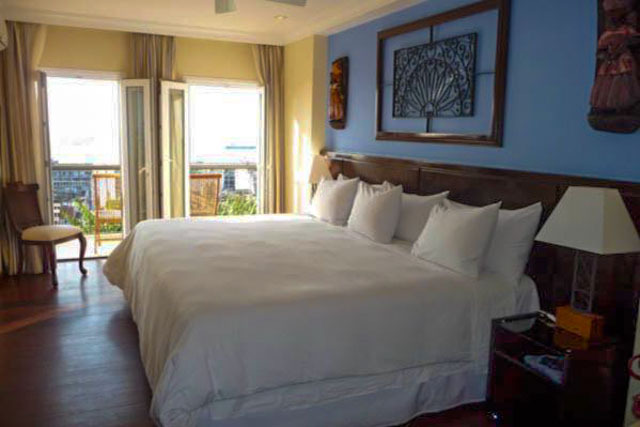 All rooms are luxuriously furnished with king size beds and balconies overlooking the ocean. 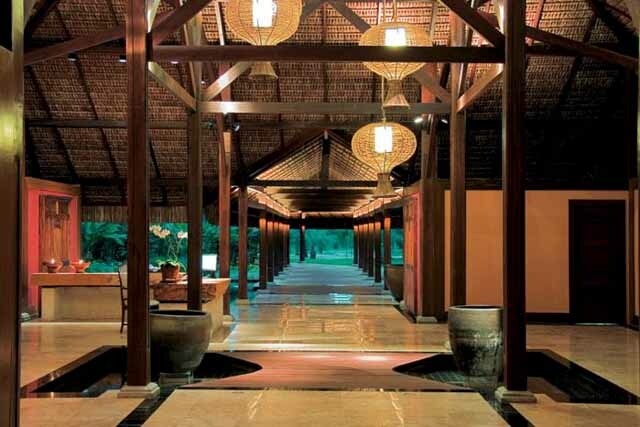 The hotel also has a spa as well as 3 restaurants and 2 bars. The hotel’s pool is a great place to enjoy an evening cocktail before heading out to explore the town. 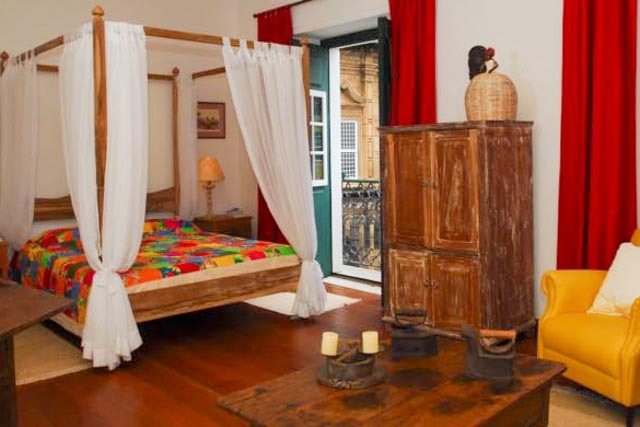 This delightful hotel is housed in a fully restored 18th century mansion in the historic center of town. Preserving the colonial style of a bygone age, the individually furnished rooms were designed with a stylish architectural vision preserving the rustic style of the mansion. 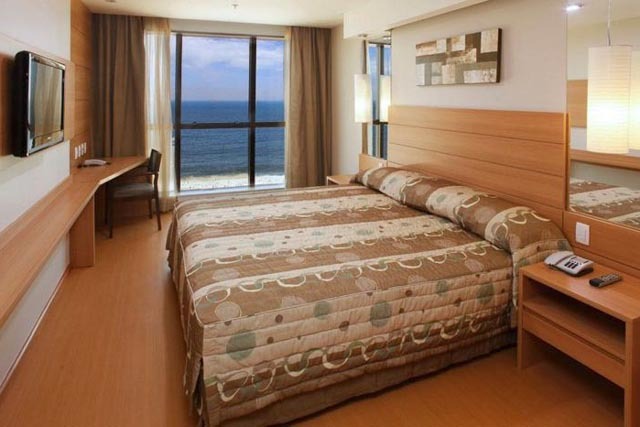 All rooms feature air conditioners and high quality furnishings. 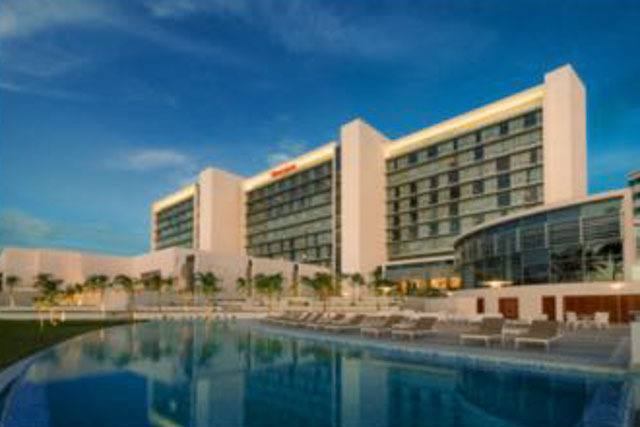 This is the city’s leading luxury beach hotel, featuring 298 contemporary, beautifully appointed guest rooms and suites. The hotel is surrounded by lush nature reserves and beautiful beaches. A large pool and leisure area is perfect for relaxing on one of the hotel’s sun loungers in the shade of a gazebo, while the hotel’s two restaurants offer modern Brazilian and International cuisine. 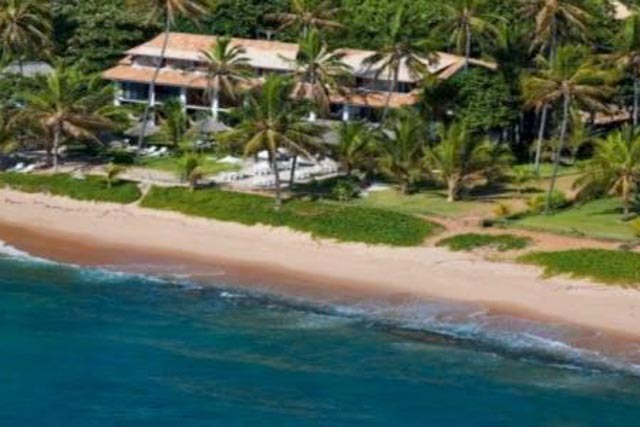 Named by National Geographic as one of the best hotels in Brazil, this luxurious pousada is located a 10 minute walk from the beautiful Conceição Beach. 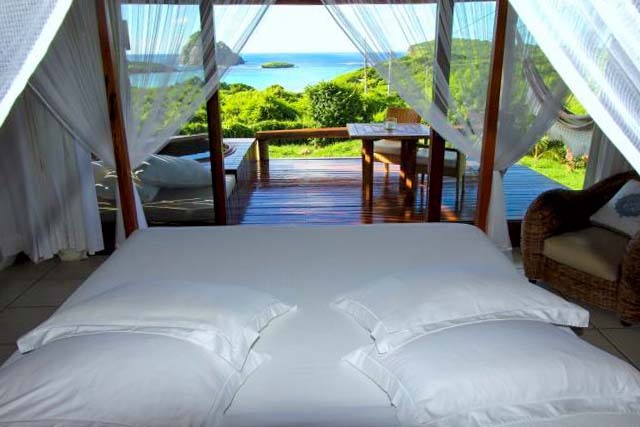 This boutique hotel is surrounded by vegetation and boasts a spectacular view of the island’s highest peak. 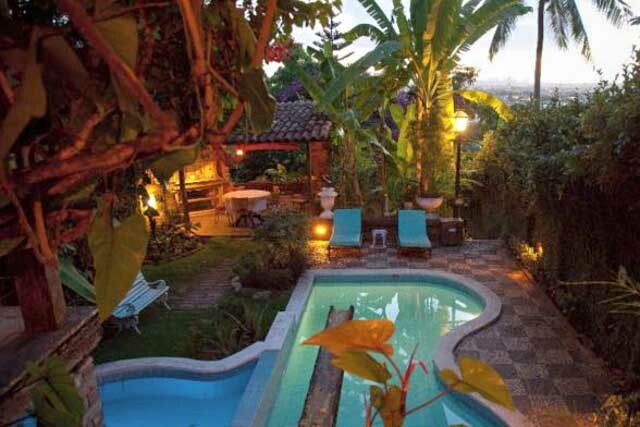 The hotel’s bungalows have a tropical island feel and are mostly situated around the pool area. 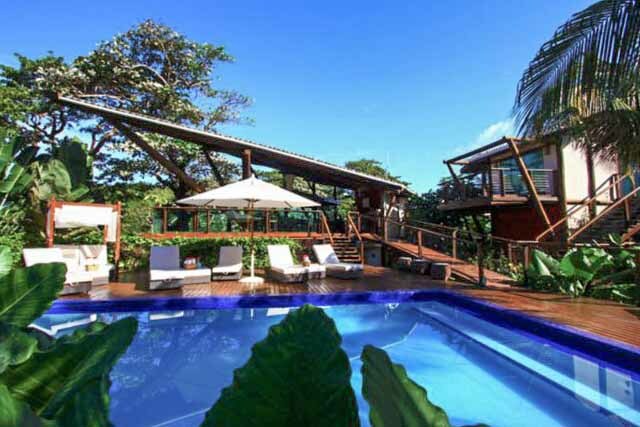 They feature king or queen beds and views of the surrounding jungle. This chic hotel near the island’s airport overlooks the horseshoe shaped Sueste Beach, only a 150 foot walk away. The luxuriously furnished, air conditioned rooms all feature either a patio or balcony and some have a Japanese style hot tub. The hotel’s design elements are tasteful and great effort has gone into a seamless transition with its surroundings. This is the island’s finest luxury hotel. 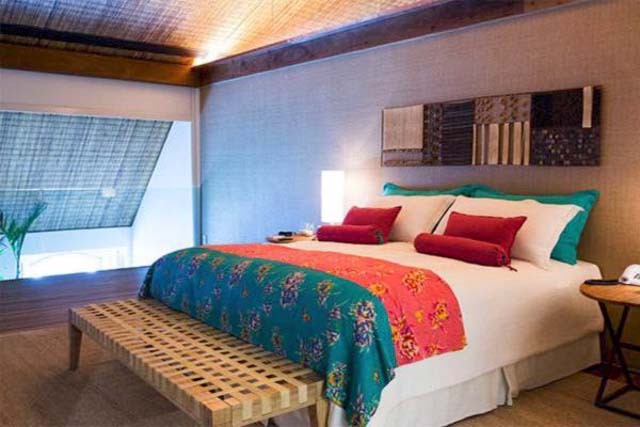 Price fromUS$4095 per person (Luxury Hotels), or US$5155 per person (Deluxe Hotels), for a private tour based on two people traveling in low season sharing a room.